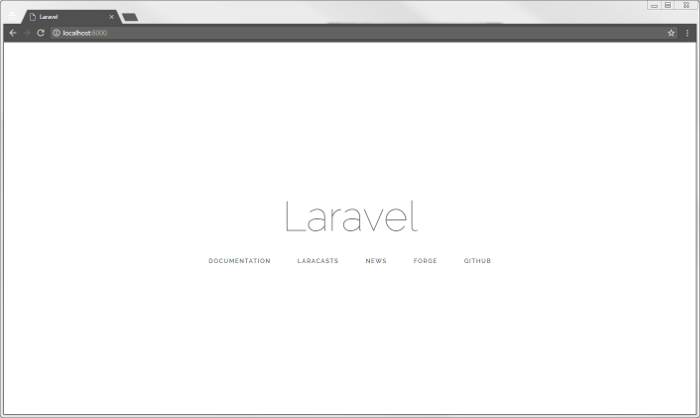 This tutorial describes how to add dhtmlxScheduler into a Laravel app. You can get the ready demo on GitHub or follow a step-by-step guide below. Here we've defined a simple HTML layout, added sources of dhtmlxScheduler from CDN and initialized scheduler using the init method. Note that we've also specified 100% height for the document body and for the scheduler container. Scheduler will use the size of its container, so some initial sizes are required. After we've added a new page, we need to make it accessible from a browser. 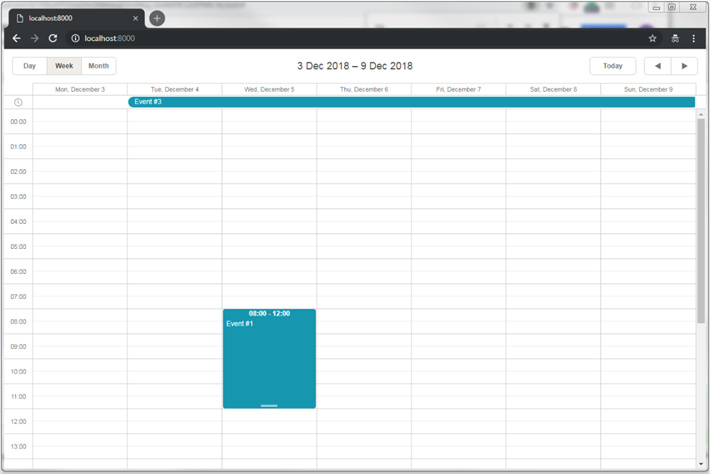 For this tutorial, we'll make our scheduler the default page of an app. So, we've got an empty scheduler. Let's connect it to the database and populate it with data. After that find the migrations in the database/migrations folder and define a database schema. Have a look at the database schema expected by Scheduler. At this step, if you use an older version of MySQL database, you may get an error which looks like this: "Syntax error or access violation: 1071 Specified key was too long; max key length is 1000 bytes". Here are more details on this particular error. The data is managed via the Eloquent model classes. We've already generated a class for events at the previous step. 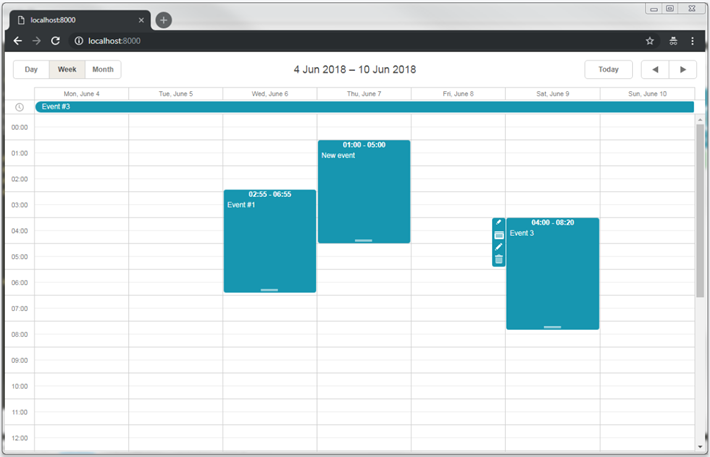 It is ready to use and doesn't require any changes to work with scheduler. scheduler.load sends an AJAX request to the specified URL and will expect a JSON response as we've defined before. Also, note that we've specified the xml_date value. This is how we tell the scheduler which format of dates the data source will use, so the client side could parse them. Currently scheduler loads all records from the events table on startup. It can work well if you know that the amount of data will remain small over time. But when scheduler is used for something like a planning/booking application and you don't delete or move obsolete records to another table, the amounts of data will build up fairly quickly and in a couple of months of active usage you may find that your app requests a couple of MBs of events each time a user loads the page. It can be easily avoided by using dynamic loading. Scheduler will add the displayed dates to the request parameters and you'll be able to return only the records that need to be displayed. Each time a user switches to a new data range, scheduler will request a new portion of data. For now, our scheduler can read data from the backend. Let's make it write changes back to the database. The client side will work in the REST mode, meaning that it will send POST/PUT/DELETE requests for events actions. Check the format of requests and all the routes the scheduler will use. Now we need to define a controller that handles actions on the model, create route for it and enable data saving on the client side. Let's start with controllers. We'll create one RESTful resource controller for each model. It will contain methods for adding/deleting and updating the model. When a new task is inserted, we return its id back to the client in the tid property of the response object. We assign a default value to the progress parameter. Many request parameters are optional, which means that if a client-side task doesn't have them assigned, they won't be sent to the server action. The response JSON can have any number of additional properties, they all can be accessed from the client-side handler. 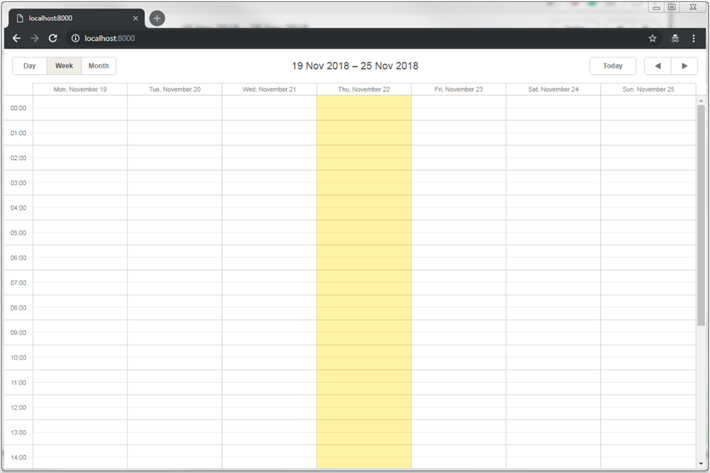 Now you have a fully interactive Scheduler with the ability to view, add, update and delete events. Please check more of our guides for other features of dhtmlxGantt. In order to enable recurrence (e.g. "repeat event daily") you'll need to add an appropriate extension to the scheduler.blade.php, update the model and the code of the Events controller. Data loading does not require any changes, but we'll need to update the write actions since editing recurring series require some non-intuitive steps. After that, there are three additional cases which need handling. And finally, when user modifies or deletes a recurring series, we should delete all modified occurrences of that series. It is required, because modified occurrences are linked to the original ones via timestamps. Scheduler doesn't provide any means of preventing an application from various threats, such as SQL injections or XSS and CSRF attacks. It is important that responsibility for keeping an application safe is on the developers implementing the backend. Read the details in the corresponding article. In case you've completed the above steps to implement Scheduler integration with PHP, but Scheduler doesn't render events on a page, have a look at the Troubleshooting Backend Integration Issues article. It describes the ways of identifying the roots of the problems. Now you have a fully functioning Scheduler. You can view the full code on GitHub, clone or download it and use it for your projects. You can also check guides on the numerous features of Scheduler or tutorials on integration of Scheduler with other backend frameworks.